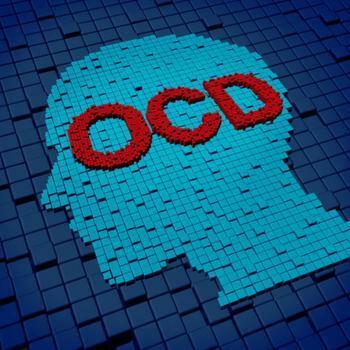 It has become all too common for a person to explain one idiosyncrasy or another by saying that they have OCD, or obsessive compulsive disorder. In actuality, these quirks don’t truly embody what OCD is. In one form of the condition, a person may be compelled to ritualistically wash their hands due to a fear of dirt or bacteria. However, even after just washing, invasive thoughts over new contamination force them to return to wash their hands again, regardless of whether the excessive scrubbing is causing skin irritation or damage. The disorder occurs in around 2% of the population and can be completely debilitating. Current methods to treat it rely on antidepressants, but researchers from Maximillians-Universität (JMU) Würzburg in Germany believe they may have found the cause, giving hope for new potential therapies in the future. The findings of the study indicate that a missing protein may cause the urges and intrusive thoughts that drive OCD sufferers’ behavior. Named SPRED2, the protein is normally found in high concentrations in the basal ganglia and amygdala regions of the brain. Its function is to inhibit a particular neural pathway, but the researchers explain that when it is missing the pathway becomes more active. "It is primarily the brain-specific initiator of the signal pathway, the receptor tyrosine kinase TrkB, that is excessively active and causes the overshooting reaction of the downstream components," says biologist Dr. Melanie Ullrich. In laymen’s terms, the pathway causes obsessive-compulsive symptoms when the protein is not there to do its job. To explore the function of SPRED2, the researchers used mice models and introduced an inhibitor that reduced the influence of the neural pathway. They found that the animals became less compulsive as a result. "Our study delivers a valuable new model that allows the disease mechanisms to be investigated and new therapy options for obsessive-compulsive disorders to be tested," stated Professor Kai Schuh. Ullrich points out that the drugs used in the study were primarily used to treat cancer, since overactivation of the neural pathway is also a frequent trigger in that disease. They believe that further studies into the effectiveness of these drugs may prove beneficial to OCD sufferers. The full study has been published in Molecular Psychiatry.